Addis Ababa University (AAU) was founded in 1950 and the Faculty of Medicine was officially established in 1964. Postgraduate training began in 1979 G.C. There is evidence that the original version of Orthopedics and Trauma surgery Specialty curriculum was developed in 1987 with funds obtained from the British Overseas Development Administration. The founders of the department were Prof. R. Merryweather from UK; Dr. Ronald Garst and Dr. Merlin Anderson from USA. According to the AAOS (American Academy of Orthopaedic Surgeons), Orthopaedics is the medical specialty that focuses on injuries and diseases of one’s body’s musculoskeletal system. This complex system, which includes one’s bones, joints, ligaments, tendons, muscles, and nerves, allows one to move, work, and be active. Orthopaedic surgeons are devoted to the prevention, diagnosis, and treatment of disorders of the bones, joints, ligaments, tendons and muscles. Once devoted to the care of children with spine and limb deformities, orthopedists now care for patients of all ages, from newborns with clubfeet or spinal deformity to young athletes requiring arthroscopic surgery to older people with arthritis and degenerative disc diseases. And anybody can break a bone. It is relatively modern specialty that relies on Science, Art/skill, technology and sound medical ethics. Orthopaedic surgeons are needed both during peace or war when injuries or falls occur during development activities like construction as well as during car and machine related accidents. Unrest, conflicts and displacements too presuppose Orthopaedic surgeons. Such surgeons are expected to go to war fields, conflict areas, and naturaland man-made disaster sites, to treat the injured. Musculoskeletal pain is the number one reason why people visit their doctors each year. Many people know that Orthopaedic surgeons treat broken bones/fractures, and replace painful joints, but few know that Orthopaedic surgeons also treat patients for the following common problems: Sports injuries, Back pain, Ruptured disks and Spinal stenosis, Bone tumors, Carpal tunnel, Hand arthritis and Hand injuries, Clubfoot, Bow legs and Hip dysplasia, Limb shortening, Contractures and Bunions, Foot and ankle sprains, Osteoporosis and Post-menopausal symptoms andArthritis. Orthopedics Surgery in AAUwas established as a department in 1987 and since then it has graduated 130 Orthopaedic surgeons, who are delivering quality Orthopaedic care across the border. Some have left the country. This number is expected to double in the coming four years as the intake of residents is increasing dramatically. Resident intake capacity of the department has increased from 3-5 per year to 20 to 27 per year. Dr. Biruk Lambisso, Head of the Department, is Associate Professor and Consultant Surgeon. He said, “Currently, there are a total of 100 Specializing residents in this Department! Anywhere, this is a very high number for one Department to handle. My daily routine work is to organize and lead this and make sure they get quality training and meet at least African standards. It is tiresome but worth to sacrifice and see the youngsters rising. We are doing well. But still, the number of orthopedic surgeon in the country is still not adequate and should increase to satisfy the demand of the country. For its current population size, Ethiopia needs at least over a thousand Orthopaedic surgeons, at most 11,000! And this demand could be met not only by training general orthopedic surgeons as it has been practiced so far but also by training sub-specialists. The focus on sub-specialty trainings has also the advantage of performing complex surgeries in our country thereby avoiding unnecessary referrals for treatment abroad and saving our scarce hard currency. Being ill, patients could feel discomfort in a foreign land. They prefer to be treated in the company of family members and friends. Also, the treatment in Ethiopia is comparatively cheaper. He continued: “Soon, a Pediatric Orthopaedics fellowship program will be launched. Later, we have a vision to open Arthroplasty, Orthopaedic Oncology, Sports Orthopaedics, Hand and Spinesub-specialties respectively. Other sub-specialties will also follow. These will significantly decrease abroad referrals for surgery; in fact, we can attract east–African patients to Addis Ababa through Medical Tourism. Orthopaedics uses advanced technology. Knowledge in Physics, Biomaterial Engineering, and Architecture/design has contributed a lot to the discipline. The equipment and materials used in Orthopaedics are expensive and that poses a challenge to establish centers in our country to provide even such basic care. For example now our C-arms/Image Intensifiers are broken and very hard to buy new ones or repair them. We are working under huge challenge. Regarding female Orthopaedics specializing residents in our Department, even though every year their number is increasing, still their number is below 10% (9 out of 100 trainees). This needs a lot of work. But, for sure is improving. Quality wise, and in performance, we usually observe the female residents score highest. It happened this year as well. Dr. Hiwot Hailu stood the highest. Two of our senior staff are females and four are in training. Today, we just accepted a new Ortho Staff G.P who is the top female scorer this year. Her name is Dr. Bezait Teferi Tsegaye with a CGPA of 3.83-a very high grade in AAU Medicine! 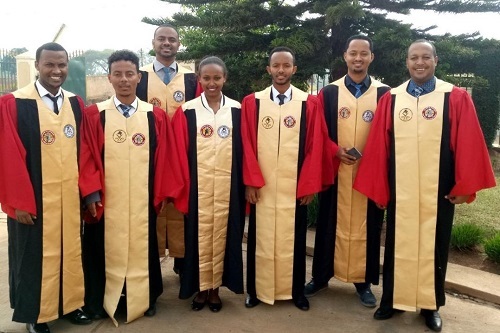 “The 4-year specialty training they got is of comparable to many African countries, this is witnessed by the fact that our candidates always do well in the International exams such as the one witnessed last month in Rwanda. All our 8 candidates performed great and graduated as Fellows of COSECSA (College of Surgeons of East, Central and Southern Africa-an organization formed of 14 African Countries). AOAF paid 20 Thousand USD (Around Half Million Birr for the COSECSA Exam fee. I thank them very much. For 2019 COSECSA exam in Uganda, they promised to sponsor more number of examinees. Our students are lucky, already on registration and preparation. We also examined these same candidates and their classmates, they did very well. The external examiners from UK have also commented that the quality of the training is commendable. In this batch we trained one Sudanese and one surgeon for Somalia. They passed our exams, now will go to their homeland and serve their nations. We are happy to do this and contribute something to the region. Our specialty qualifying examinations are brain racking and tight. The process is also tough, some 20 staffand consultants will ask structured clinical details (OSCE) on real 5-6 patients at different exam stations. Viva, OSCE and MCQ,” he noted. “This is just to deploy talented surgeons into the society. As we are treating precious humans we try our best not to compromise quality. Sure, we have many areas to improve. We strongly collaborate with local Hospitals like CURE and SODDO. Strong long standing International collaborators include SIGN, SAO, AOAF, ADFA and WOC. Each has its unique role and they spend a lot to improve the Orthopaedic Care in Ethiopia. We always thank them. Without such collaborations, we cannot treat our patients, we cannot teach our residents and we cannot conduct researches. We cannot also lead by example. They helped us a lot to treat the injured victims during every conflict, disaster and tragedy. They also helped our graduates to establish their own centers in the Hospitals sponsoring them. 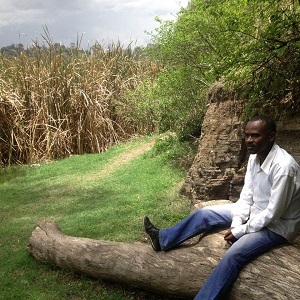 SIGN Foundation does a lot of work and support in Ethiopia. The Founder and president, Dr. Lewis Zirkle, the “Patriarch” of Orthopaedics will be here in February 2019 as usual. The CEO, Jeanne and Dr. Molly Zirkle too, he further noted. “AOAF usually focuses on training basics, giving some instruments, sponsoring for international exams, travels and accommodations. AOAF sponsors our society (ESOT) annual meetings as well. We have secured a deal for next years. We had several meetings in the AU and FMOH, to design Africa’s Trauma care. ADFA president, Dr. Graham is a regular visitor. Dr. Alexis, strong supporter for ten years, from Seattle based SAO, started THR. WOC-UK is crucial partner. CURE Children’s and SODDO Christian Hospitals are our strong internal collaborators. Dr. Rick & Dr. Anderson are instrumental in our international links, courses and plans. The partners played role in opening three more specialty trainings in our country (St Paul’s AaBET, Bahir Dar and Mekele). Others are also coming up, Hawassa, Soddo, etc. We thank them again. Finally, as Head of Department, I appreciate the Academic staff here to patiently train and produce such young specialists to shoulder the Orthopaedic responsibility of our Nation. I am sure they will never let us down. Hope to see all them shine across Ethiopia! We want to see them sub-specialize, bring knowledge and equipment to our country. There is a lot to be done here!” he concluded.